Part of newsletter send on 23-Sep-2015 to my subscribers. Please subscribe at the bottom of this page. I have never experienced Nifty dancing so much in such a narrow range for so long. Its almost a month now. I am truly dedicated to help people who paid for my services and had and faith in me. How To Profit Both Sides In a Trade? If you have done my course, you must have got a lot of knowledge in hedging. Now why not implement that knowledge in real trading? So this is what you can do – if it works returns can be amazing like 20-40% in one month and if it doesn’t the losses are limited. So free some cash and trade in less no of lots depending on your trading account. See when rewards exceed risk – you must try and trade. 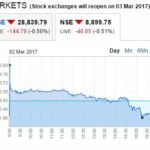 Nifty moving one day 1-2% up next day 1-2% down. 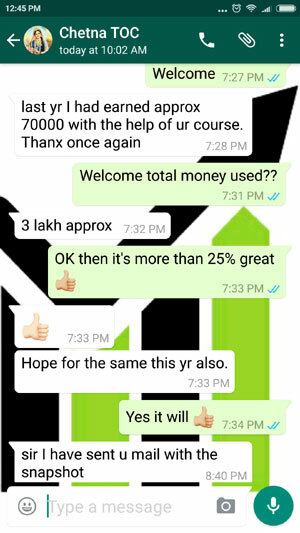 So open the directional BONUS strategy of Mr.Inder of my course. Read the FIRST one – NOT the second. See how he took slight risk to deviate from the strategy and made a return of almost 17% in 10 days. Try that. Use your brains and take calculated risk. That risk works best when Nifty goes up and down in a few days with speed. Take profits both side and enjoy. Again DO NOT GET greedy. I told you to try on a small percent of your trading account NOT all. Stick to it. For the rest keep trading strategy 1 and 2 if SL hit. Also again a great opportunity to trade the conservative stock option. If you have cash I would suggest again ICICI bank. We already made some money on it last time – we will make it again. See I cannot reveal the directional trade, but basically its hedging Futures with Options. When you make a hedge the Future trade is no more naked – so the stress is now out of the trade. You know that its now a limited loss trade. Now lets suppose Future made a huge profit. You can always book profit in Futures and hedge your options for further loss. 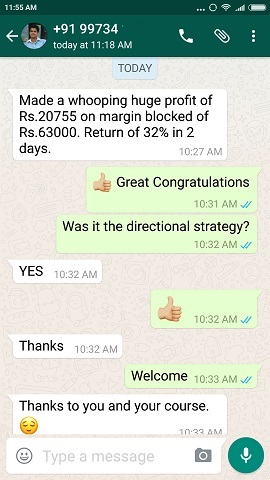 If Nifty reverses, the options can also profit and you can exit with making profits both sides. One good trade can bring great returns. But to do this you must have knowledge of proper hedging. If you do not have hedging knowledge the trade can be disastrous. 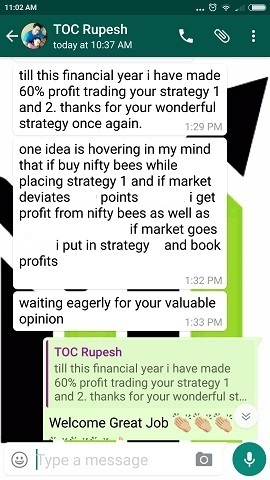 Its better to first learn hedging and try this method. 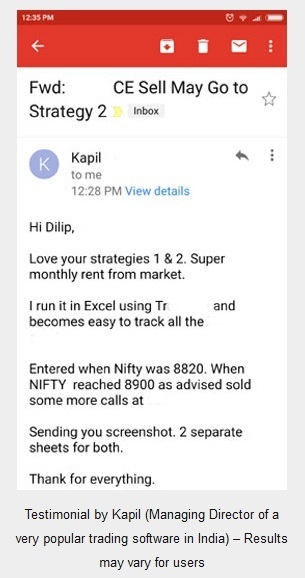 Mr. Inder got a return of more than 30% in one month because he took profits both sides, otherwise such a return may be impossible. If you do my course you will get his trades to learn how he hedged and made profits both in the Futures and Options of the trade. More information of my course is here. Trade only when rewards exceed risk. One good trade can bring great returns.